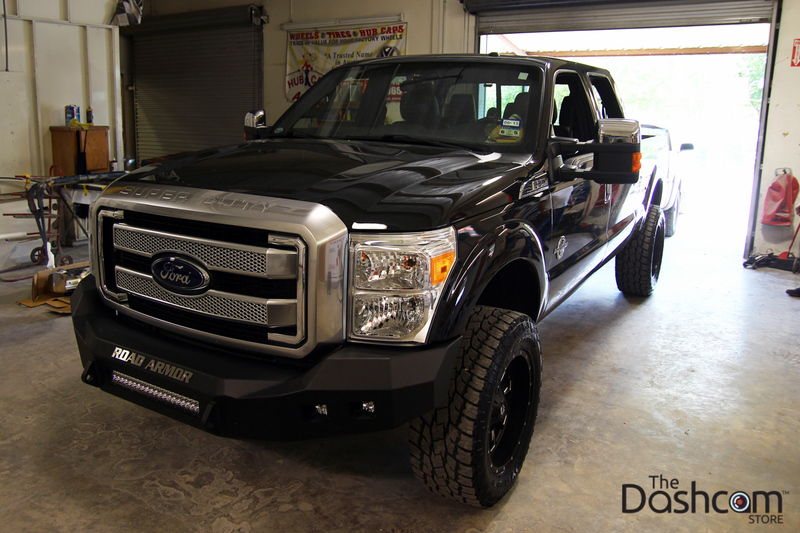 In this gallery, we see the end result of a full installation of the awesome dual-lens, full HD BlackVue DR650GW-2CH and Power Magic Pro in a 2014 Ford F250 Superduty. Thanks Chris! NOTE: this type of installation should be performed by a qualified individual or business only. 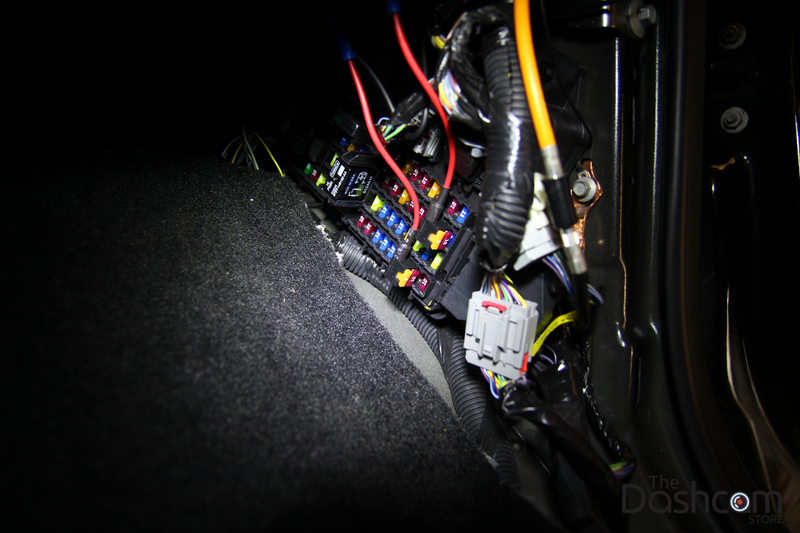 Working with your vehicle's power system can be dangerous to both you and your vehicle if you do not know what you are doing! If you have any doubts, please consult a professional. 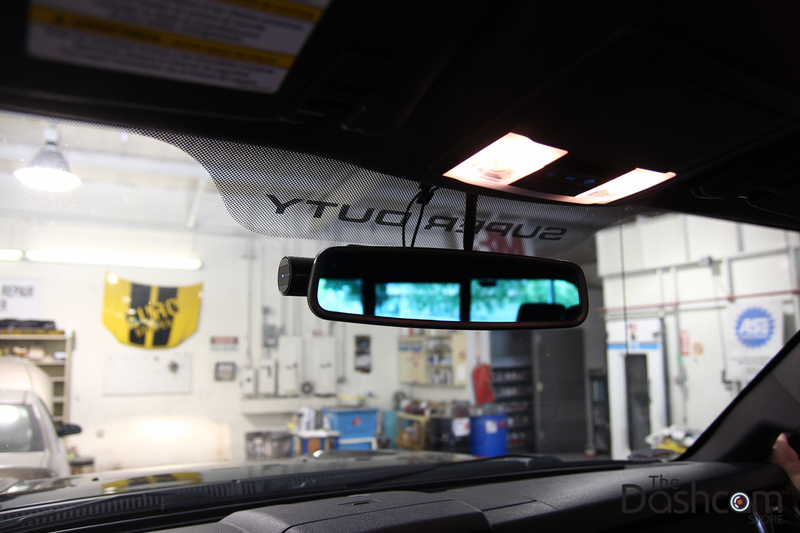 To view more comprehensive instructions for performing an installation such as this, please view our BlackVue dashcam installation how-to in a 2013 Ford F150. 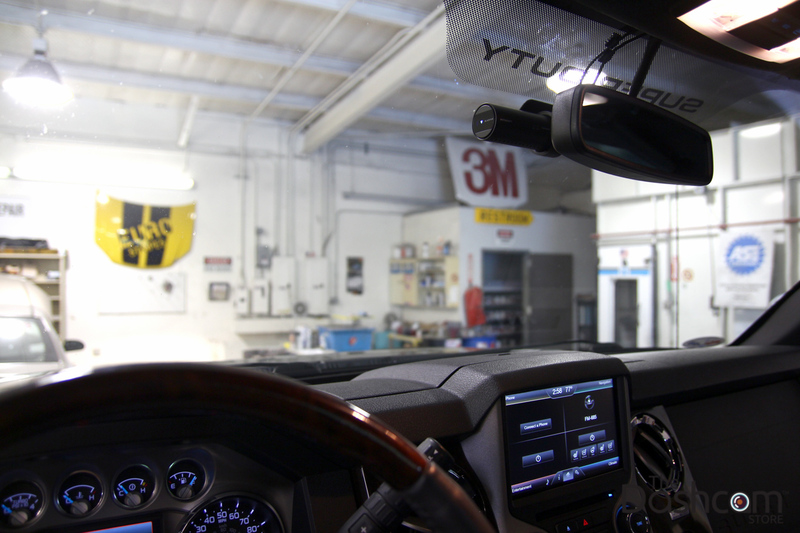 Our vehicle being outfitted with the "Dashcam Defense": 2014 Ford F250 Platinum Edition Superduty Diesel truck. Click on any image to view a larger version. 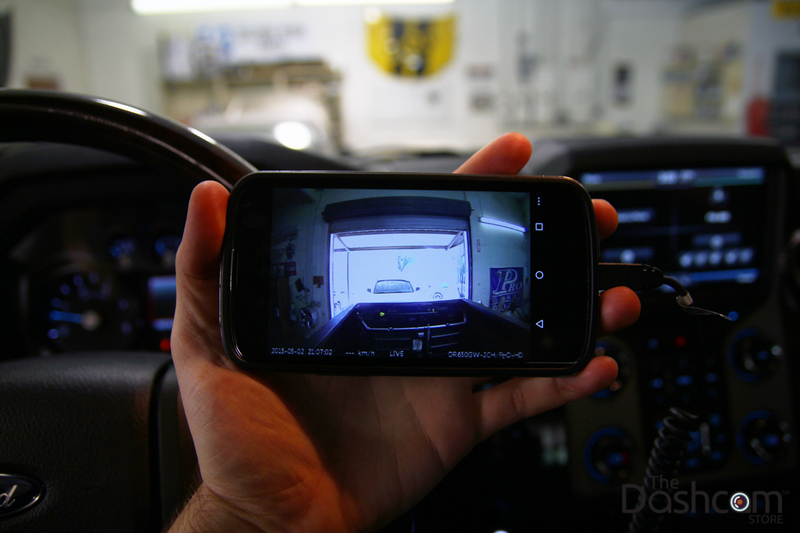 Front camera from the new BlackVue DR650GW-2CH tucked nicely in front of the rear view mirror. 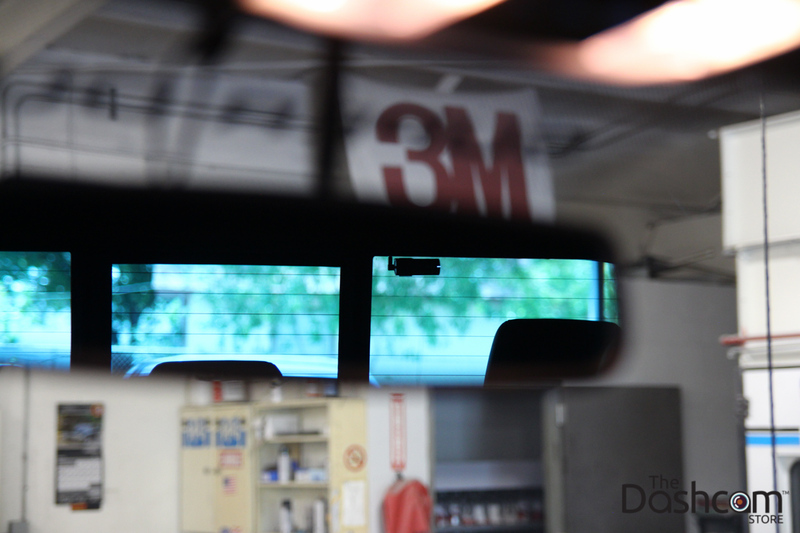 Here the mirror is tilted to the right just to show the camera, the dashcam is hidden even more from the driver's view when the mirror is tilted back to the right (see next photo). 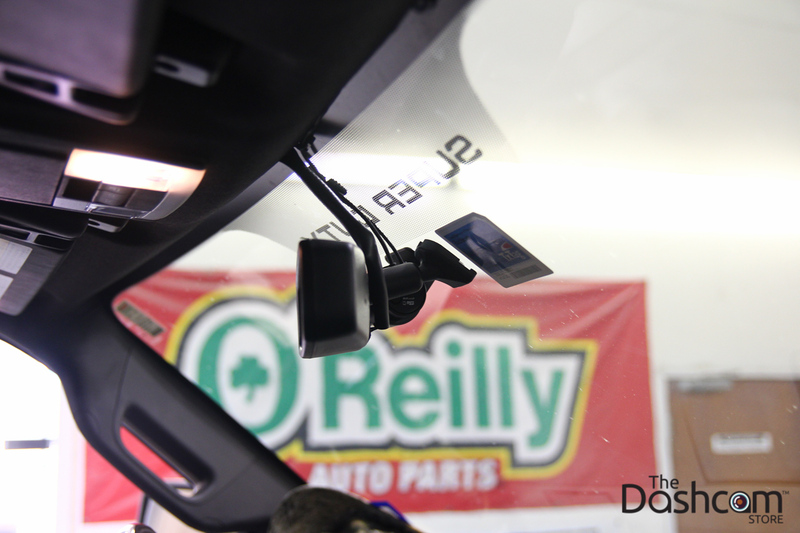 Now the rear-view mirror is back in place, hiding the DR650 front camera almost entirely. However, the WiFi indicator and quick audio on/off "swipe glass" is still easily available to the driver! You won't even notice the front camera at all from the passenger side! 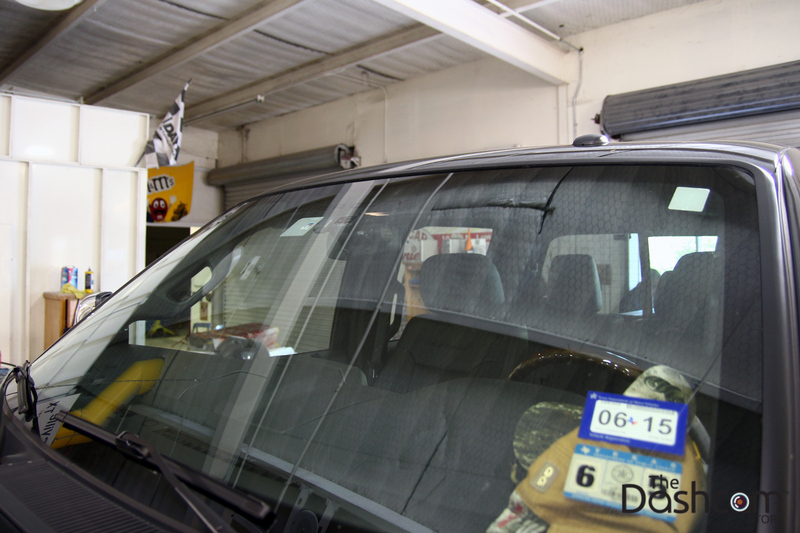 The BlackVue DR650 rear camera lens in-place in the rear windshield, to the left of the sliding window. 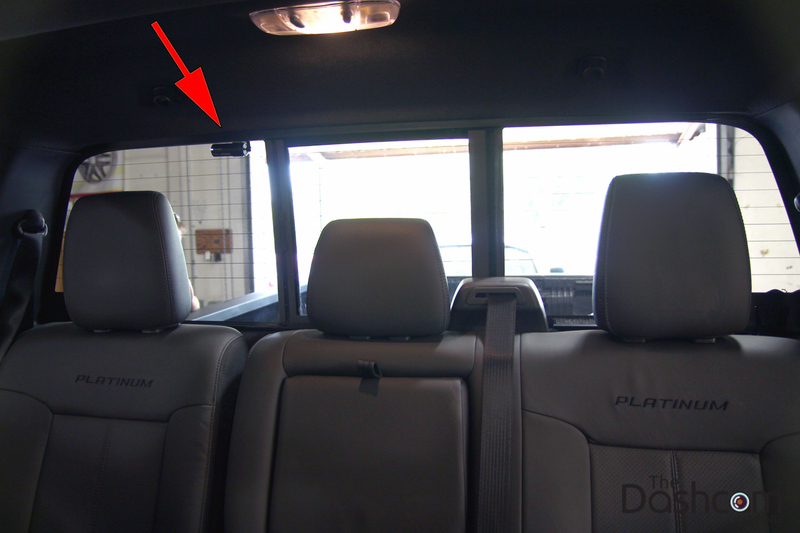 The rear camera is practically invisible since it's so small. 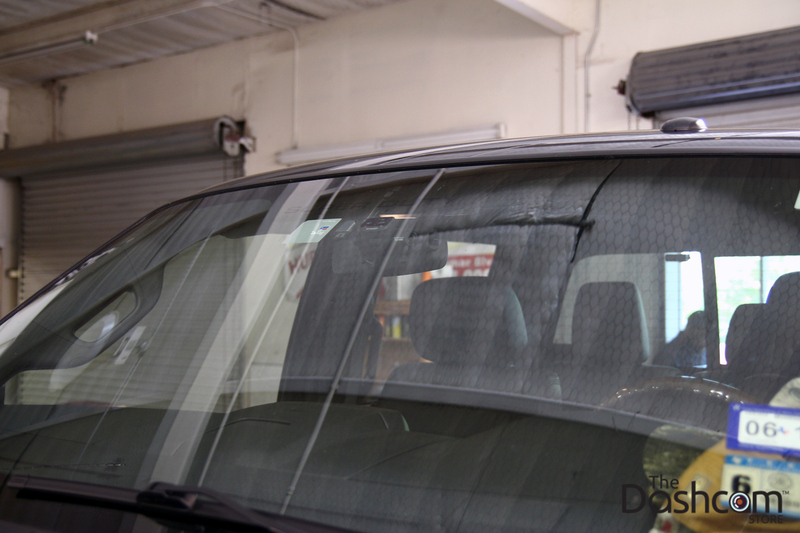 This is one of our favorite things about the BlackVue systems. 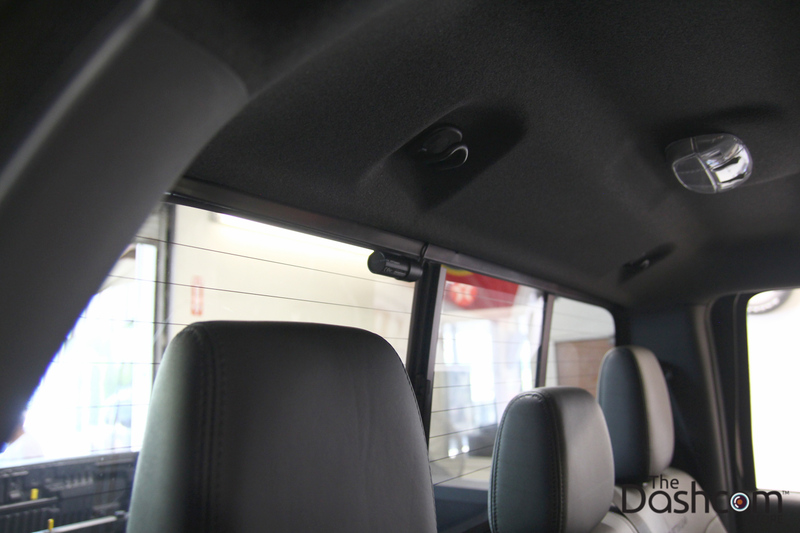 The rear element can be easily rotated 180 degrees to capture video inside the vehicle also! 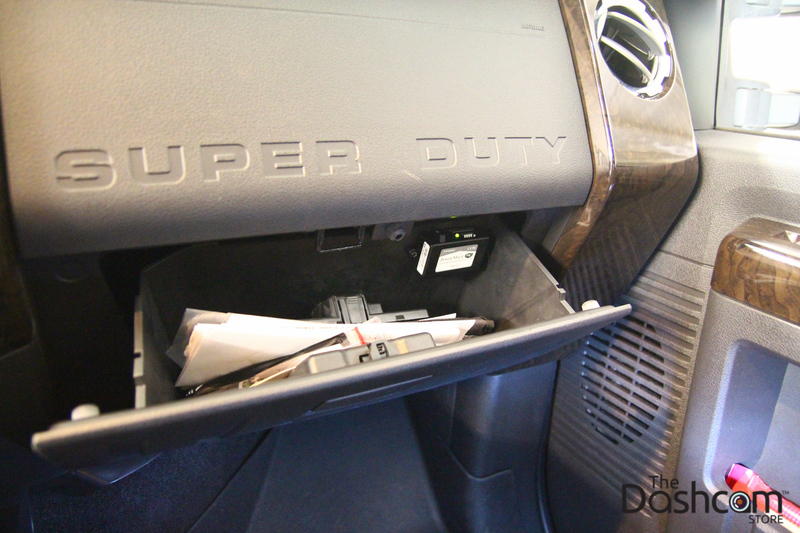 This is handy when leaving your vehicle in the hands of someone else such as a repair facility or valet parking. 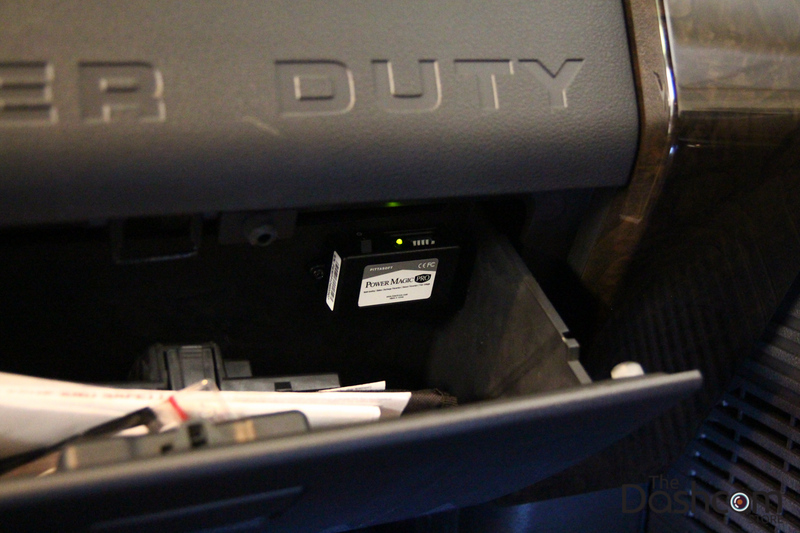 Here's a shot of the fuse taps (free with BlackVue + Power Magic Pro purchase from The Dashcam Store™) plugged in to the fuse box near the passenger side footwell. The fuse taps make it super simple to install the BlackVue system without taping, cutting or splicing any wires! 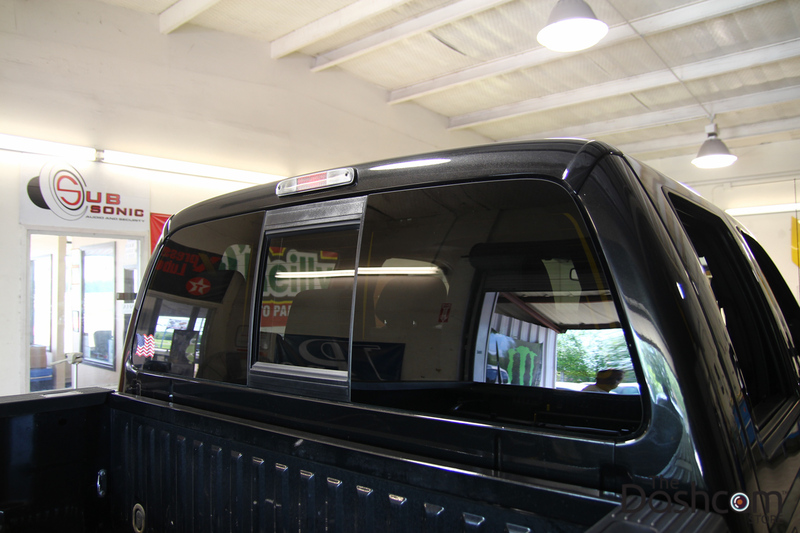 How about some exterior shots of the BlackVue DR650 on this super-clean truck? Heck yea! Can you see the front camera of the DR650? Most people don't! 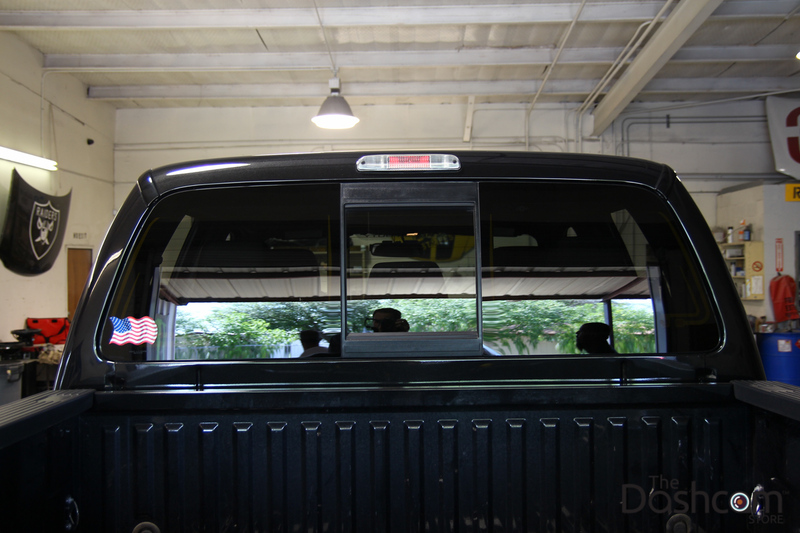 Now for some rear shots! Do you see a camera in this photo?? Trust us, it's there! Here, we'll add a red arrow to make it a bit easier to spot. 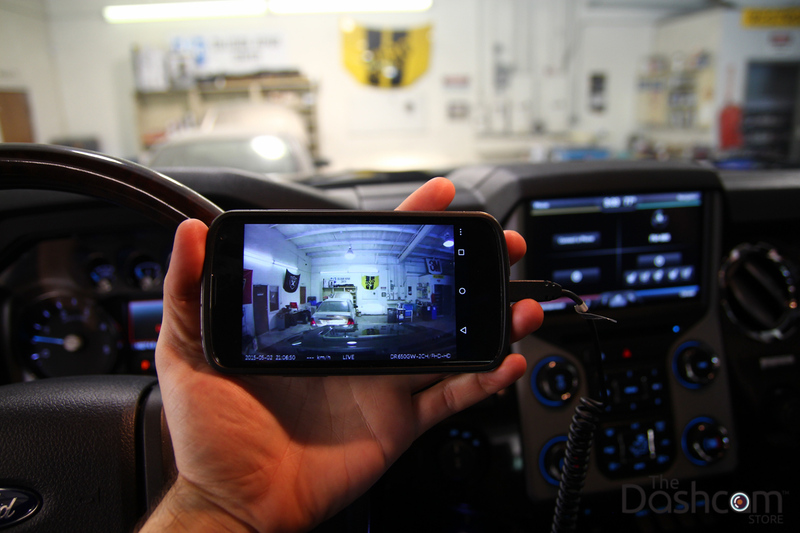 Checking the BlackVue dashcam front element placement with the live video feed over WiFi. 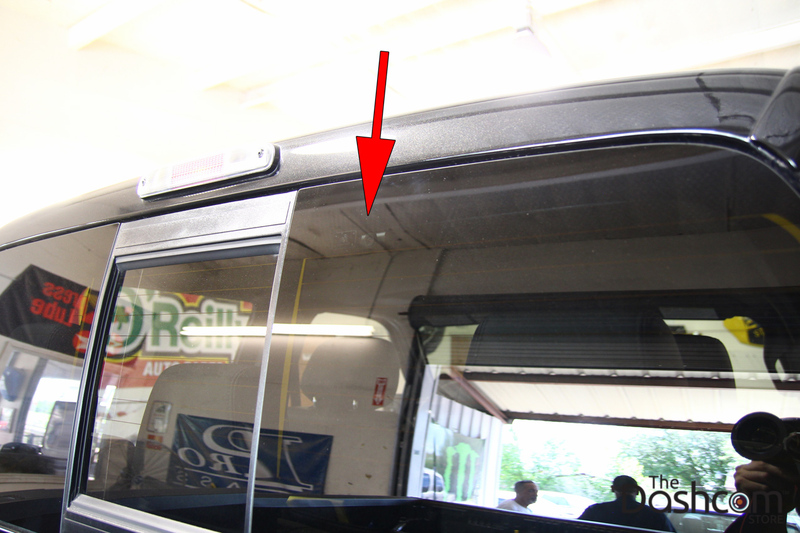 Checking the BlackVue dashcam rear element placement with the live video feed over WiFi (the direct sunlight from outside the shop isn't doing this photo justice). That's a wrap folks! Another satisfied customer. Click on these links to learn more about the amazing dual lens, full HD BlackVue DR650GW-2CH dash cam or Power Magic Pro battery discharge prevention device. 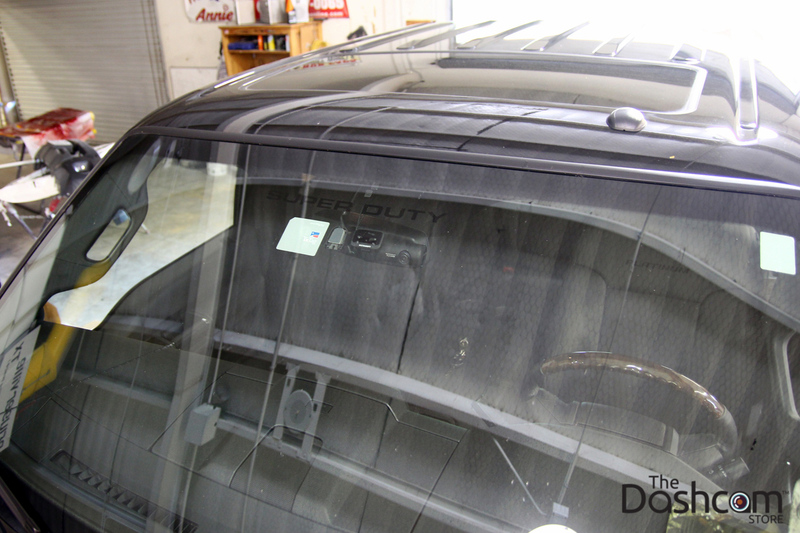 To request additional support information, please use the contact form or e-mail us at support@thedashcamstore.com. We always give our best effort to respond to all inquiries within 24 hours.